Moderate rain (gesamt 17.0mm) heaviest am Montag nachm., then becoming colder with a dusting of snow am Montag abend. Freeze-thaw conditions (maximal 9°C am Mittwoch nachm., min -3°C am Montag abend). Wind will be generally light. Light rain (gesamt 8.0mm), mostly falling am Donnerstag nachm.. Very mild (maximal 11°C am Freitag nachm., min 1°C am Freitag abend). Mainly starke Winde. Die Table oben zeigt die Wettervorhersage für Breckenridge auf der angebebene Höhe von 2925 m. Unsere ausgeklügelten Wettermodelle ermöglichen uns die Schnee-Vorhersage für die Gipfel-, Mittel- und Bodenstationen für Breckenridge. Das Fenster über der Tabelle ermöglicht das Abrufen der Wettervorhersage für andere Höhen. Für einen umfassenderen Blick auf das Wetter, siehe die Wetterkarte" von United States. Breckenridge is a great mountain and wonderful if you have kids. The terrain parks are great and the adventure forests are heaps of fun. Unfortunately, snow was ordinary and lots of rocks and trees around. 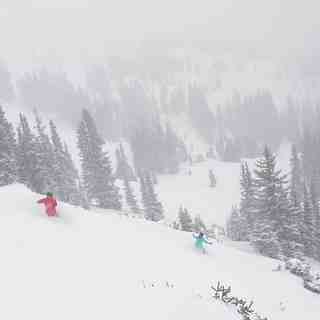 Second year running that we hit poor snow conditions in the USA (went to Heavenly last January). Still the runs are great and lots of variety. Beware of the altitude..it really does hit you for six and it's quite scary not getting enough oxygen. 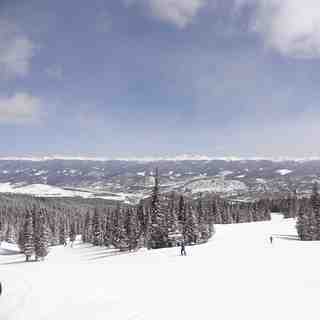 The altitude will probably mean other Colorado resorts in the future. Don't forget to check out the Silverthorne outlets as they are great. Foodwise all was great..went to Lucha, Breck Brewery (go for the 3-6 happy hour) and Quandary Grill (2 for 1 burgers on Tues that are awesome).